Dil Dhadakne Do 2nd Day Collection: Dil Dhadakne D showed slight growth on first Saturday. Collected 12.5 crores. After registering a decent start at Box Office with the opening day collection of 10.53 crores, Zoya Akhtar’s Dil Dhadakne Do showed some growth on Saturday. The movie around 12.5 crores on its second day which is 20% higher as compared to the collection on the first day. 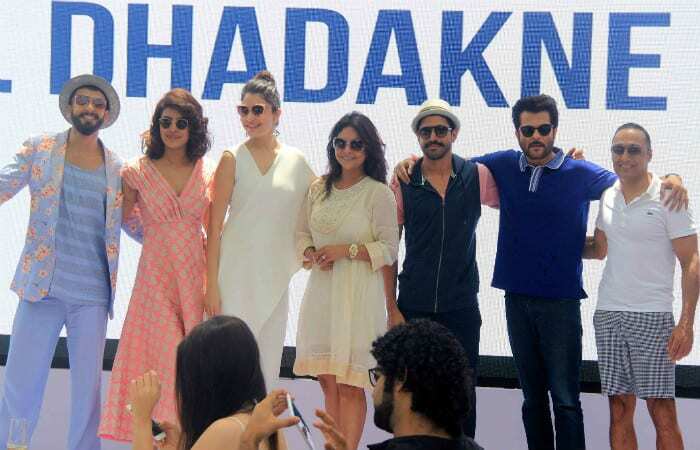 Dil Dhadakne Do was one of the most anticipated movies of 2015. With the star-studded cast, the movie was expected to get a big opening but that couldn’t happen. Though, the movie registered the second highest opening of 2015, still the collections are not up to the mark considering the names associated and budget of the movie. Dil Dhadakne Do now stands at the total collection of around 23 crores. Since, DDD is more of a multiplex movie, the large amount of its total collection came from metros like Delhi, Gurgaon, Mumbai, Bangalore and Pune. The biggest problem with DDD is that the movie is performing poor on single screens and mass centers. The collection in single screens and mass centers was as low as collections of Ek Paheli Leela, Mr.X. The movie is released on around 2400 screens across the country with 70% being allocated to multiplexes and metros. Dil Dhadakne Do is made on a budget of around 80 crores which includes 55 crores of production and 25 crores of promotion and advertising cost. The movie needs to make around 100 crores in order to emerge as a profitable venture for its makers.